Fort Lauderdale is the home of spring break, beach bars, and general fun in the sun. If you live here, you don't really think about what to do when the weather is bad: it just doesn't compute. But it does rain more in Fort Lauderdale than residents would like to admit, so, occasionally, you'll have to find things to do on a rainy day in Fort Lauderdale. Luckily, we've got some great options for you! There are few better places to go for an all-encompassing interactive experience than the Museum of Discovery and Science. You can tour the museum, watch a documentary (or a blockbuster movie), and learn something new on an otherwise unproductive day. What's better than drinking beer on a rainy day? Not much, if you ask us, especially if it's at Fort Lauderdale's best brewery. The Funky Buddha Floridan has dozens of beers bottled and on tap for you to sample. If you haven't tried this brewery yet, you aren't a true South-Floridian beer lover. Not only can enjoy a good beer at Glitch Bar, you can also pass the time on a rainy day by playing arcade games! Glitch Bar has a retro feel throwing back to golden days of arcades, but it's also a speakeasy-style craft beer bar with dozens of beer options. What happens when you mash up two old-school classics-turned contemporary trends? A good time which can only be called "geek-easy" according to its founders. Experiencing the local culture is certainly an option if you're looking for things to do on a rainy day in Fort Lauderdale. A nearly century-old home converted into a museum, the Bonnet House gives you a rare opportunity to enjoy a part of Florida's history. While you won't be able to enjoy the lush gardens, the interior is a monument to the original owners' love of art and education. Gulfstream Park has become so much more than a race track: it's an all-encompassing entertainment hub. But horse-racing is still one of the coolest aspects of this park, and it's quite eventful on rainy days, particularly if you're able bet a couple bucks on a "mudder." When there's clouds in the sky, there's no reason you can't take to the skies. Or, at least, pretend to. Indoor skydiving offers the rush of skydiving without actually having to hop in a plane on a rainy day in Fort Lauderdale. There's no better time to set a new personal high score than a rainy day, so throw on a pair of those classic bowling shoes, pick your lane, and get bowling at Manor Lanes Bowling. Rainy days keep you from doing those outdoor activities you enjoy, but you can always rock climb at Coral Cliffs Rock Climbing Center regardless of the weather. 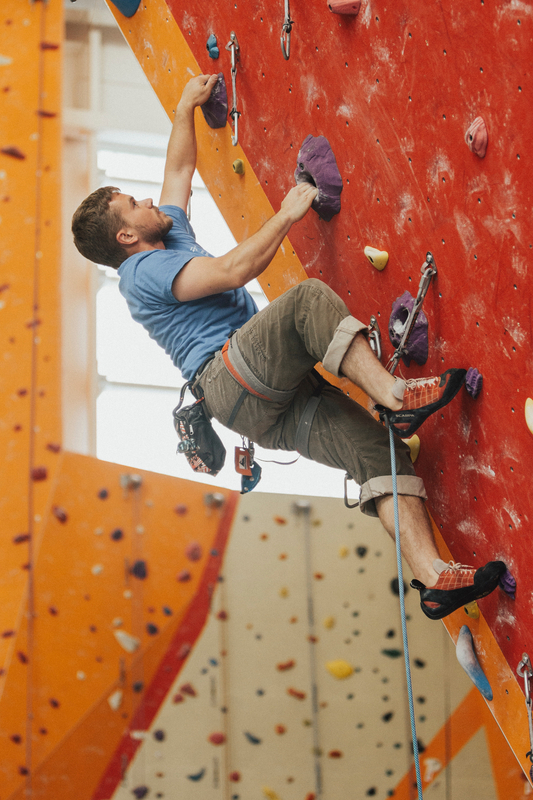 Rock climbing is a great form of exercise, so don't let the weather dampen your fitness goals or sense of adventure. Don't let the rain get in way of your fun, especially when there are so many things to do on a rainy day in Fort Lauderdale. Find more fun things to do in Fort Lauderdale and sure to register on 954area, your free guide to Fort Lauderdale.